In this example we restrain an externally pressurized cylinder that is free-free, i.e. not constrained at the ends. 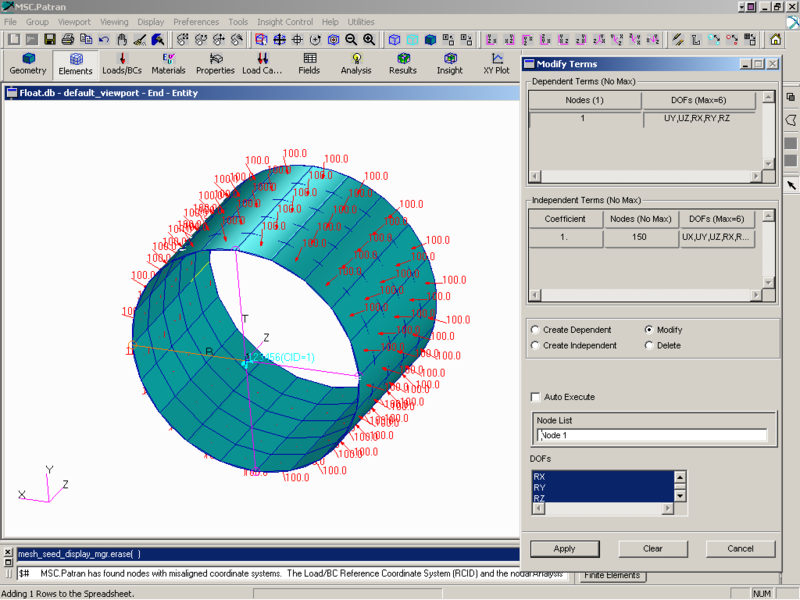 Coord 1 (cylindrical) is used as the analysis coordinate frame. 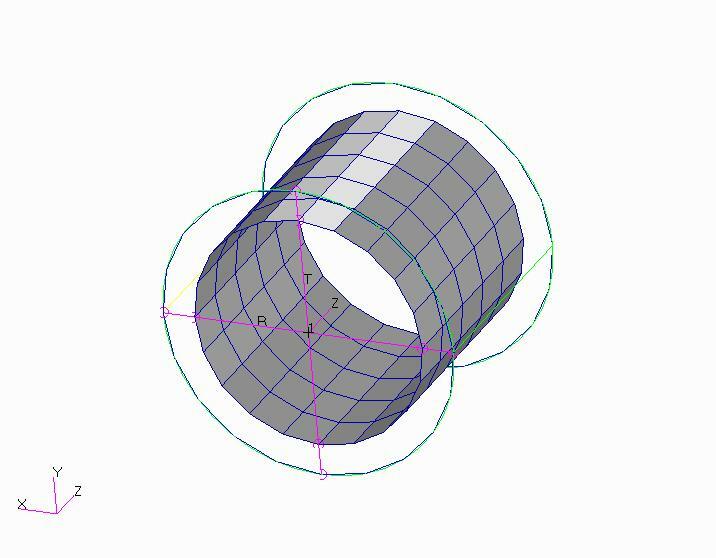 To create a free-free condition, we create RBE3 MPC’s to constrain 4 nodes at one end of the cylinder. Node 150 is located at 0,0,0 in the cylindrical coordinate system 1. One end of the cylinder is located at Z=0, the RBE’s are defined are at this end. 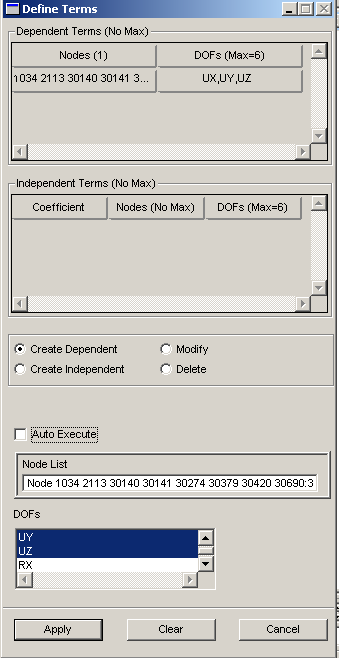 Four(4) different MPC’s are defined using node 150 as the “independent” and 4 nodes on the cylinder (one node per MPC) are the “dependents”. Node 150 is constrained along all 6 DOFs and with the expection of external pressure, the shell elements are unconstrained. Select a node on the shell then pick UY,UZ, RX,RY,RZ for the dependent DOF (note that we allow the radial direction (UX) to move). Figure 9, is a snapshot of the MPC(modify) form. Figure 10 illustrates the displaced shape. Multiple nodes on flange from 3-D tet elements need to be coupled to 3-D beam element. 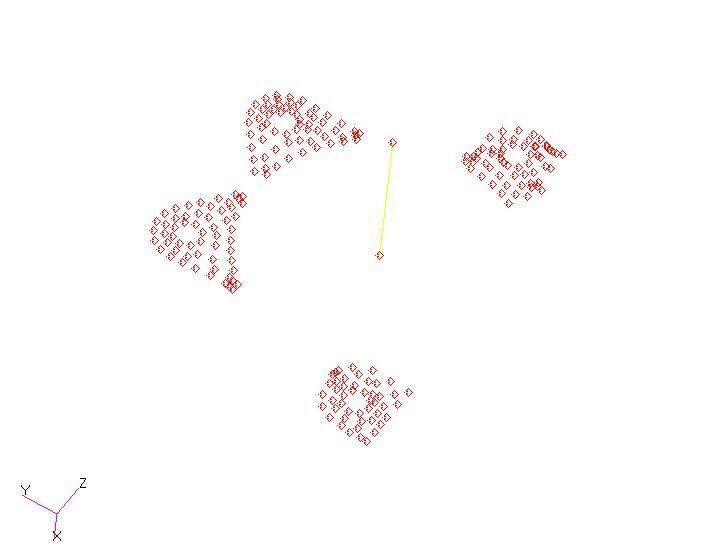 Use RBE3 – calculates node motion based on weighted average. Node on beam end is independent, flange nodes are dependent.